This week on Ebay I’m offering new Marvel sketch covers featuring classic Doctor Strange characters Eternity and Clea, plus a tribute to early She-Hulk. View my complete list of Ebay art for sale. 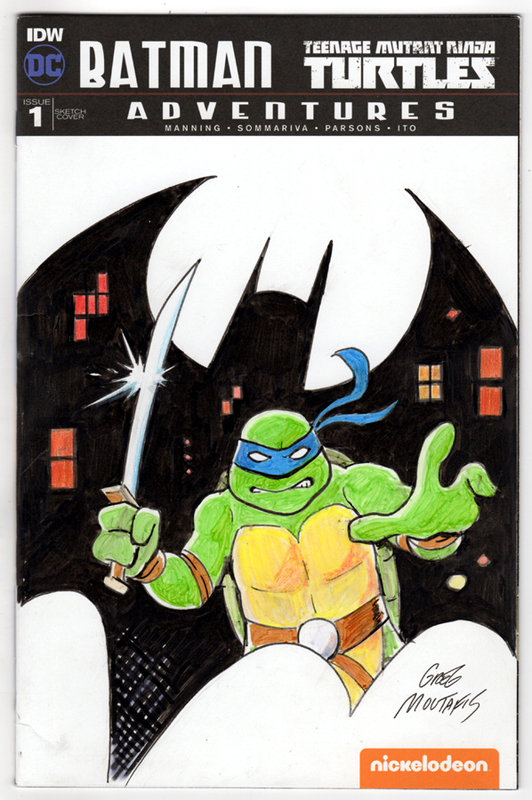 This week on Ebay I’m offering new Batman themed sketch covers featuring characters including Batman, Catwoman and the Teenage Mutant Ninja Turtles. 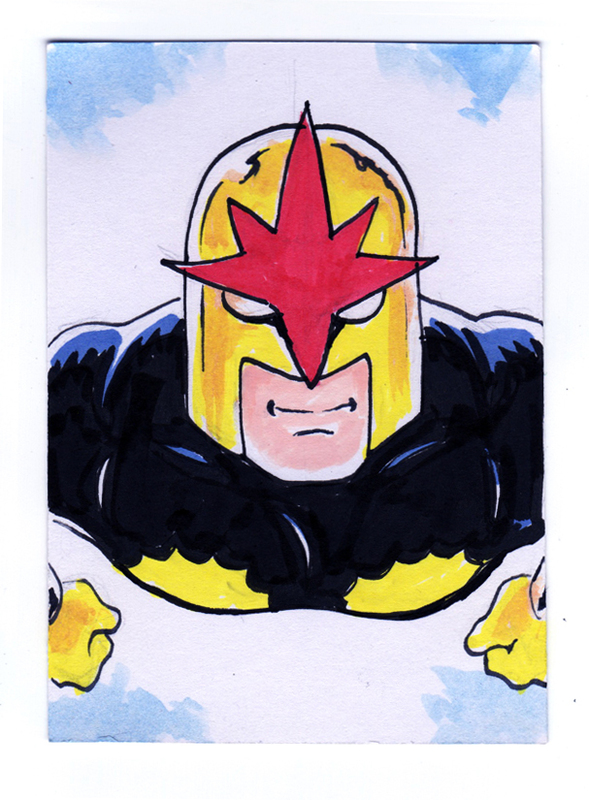 This week on Ebay I’m offering three new sketch covers featuring DC characters including Batman, Catwoman and Martian Munhunter. 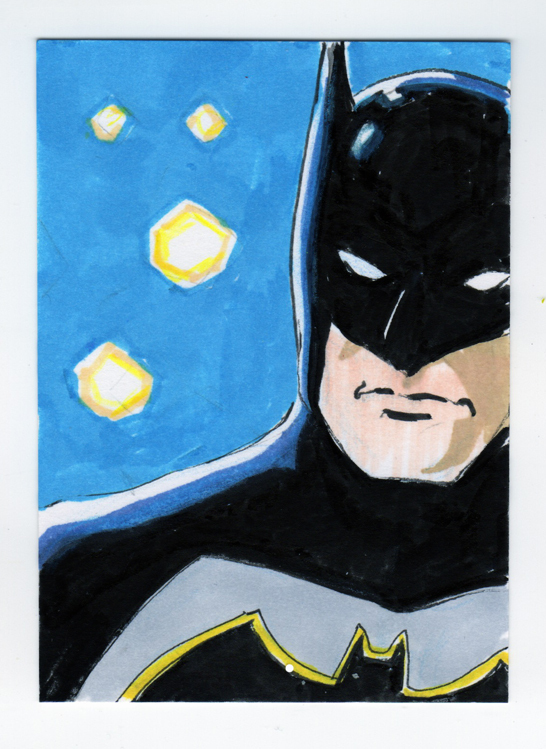 I’m auctioning more recent sketchcards this week through Ebay! 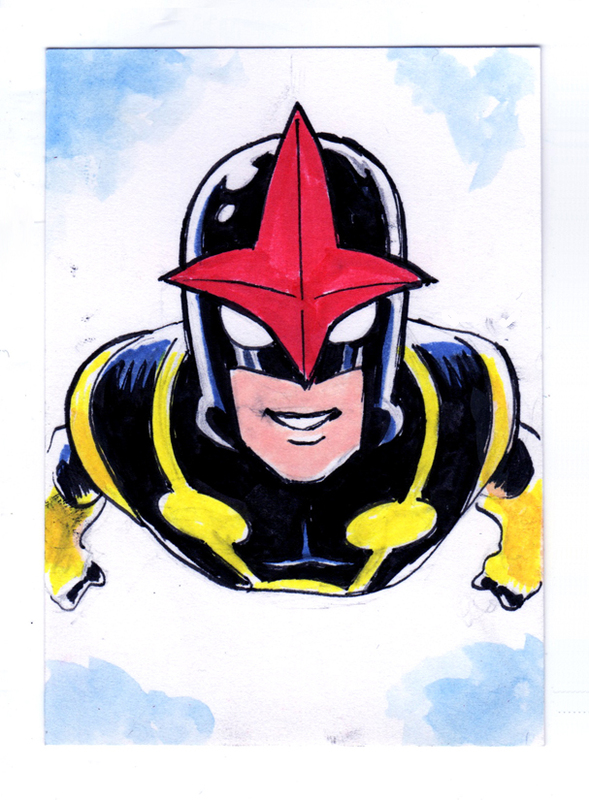 A set of new art featuring Marvel’s Nova from the ’70s to today. 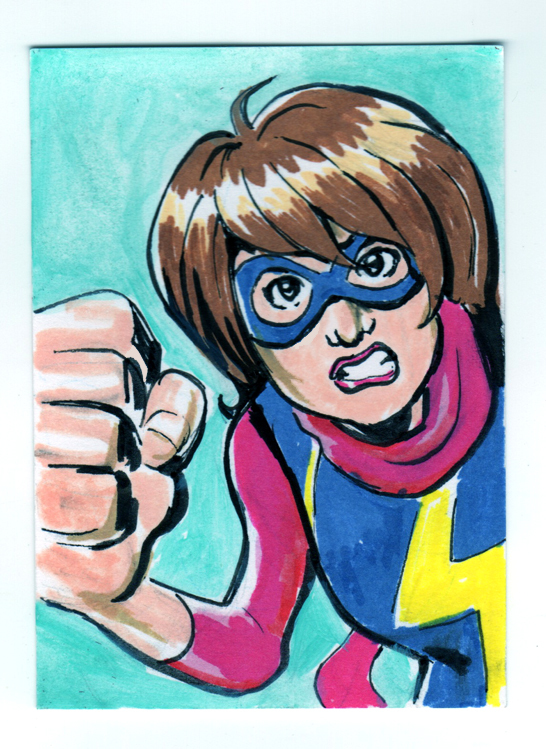 One of several new cards featuring current and classic Marvel and DC characters.